News | Sunnybank Little Athletics Centre Inc. Nominations are now being called for Committee, Non Committee and Officials positions for the 2019-2020 season of competition. 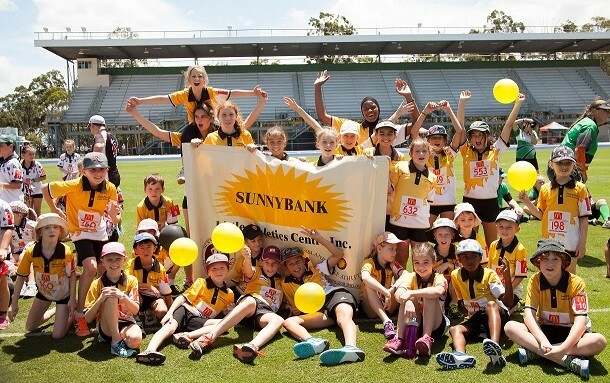 Sunnybank Little Athletics Centre requires a team of dedicated volunteers to enable the Centre to operate successfully for the benefit of all of our Little Athletes. To show your support and for the opportunity to participate in deciding the future direction of the Centre, please consider nominating for one of the positions indicated below. For further information don’t hesitate to speak directly with any of the current Committee Members/Officials. There is no centre comp on Australia Day or training on Sun 27/01/19. Enjoy the final long weekend before school starts back on Tuesday everyone! See you for training on Thursday and centre comp on Saturday 02 Feb. It is that time of the year when we look at pushing back the Saturday competition start time. As summer hits the heat and length of daylight increase which means starting later is more suitable for our athletes and families. Track and Field as a team event. All the Little Athletics clubs in the South East region create teams of 4 to run each relay races with a baton. For field events, 2 athletes will be paired and their results combined. Relay races have various distances, see the table below to see the distances offered for your child’s age group. The event is held at QSAC, at the State Athletics Facility. It’s a great opportunity for kids to get a chance to run on a tartan track and experience a larger meet. Sunnybank Little A’s will have a marquee set up for families and relay teams to meet before the race. A team manager will be at the tent at all times to coordinate athletes. Entry fees will be covered by the Club this season. Teams U9’s – U17’s who pace 1st, 2ndor 3rd will progress to the State Relay Championships held in December. U7’s and U8’s will all receive a participation medal. If your child would like to experience the fun and excitement of this competition please down load the nomination form and email back to marinabingham@hotmail.com before 20 October. Due to the continuous wet weather centre comp for Saturday 13 October has been cancelled (same as all other Little A’s and kids sports today). Regional Relays Nomination Form can be emailed to marinabingham@hotmail.com…….. Isabel will be at the oval 1:30 – 2:30 for anyone who comes down to lodge nominations. Keeping an eye on the weather! More rain is forecast for this weekend, keep an eye on this website and our facebook page for weather updates. A decision will be made and posted by 12:00 pm whether Saturday competition is on. Any lost centre comps will be made up on other days throughout the season. Posted in News | Comments Off on Keeping an eye on the weather! Cloudy. Very high (90%) chance of showers, becoming less likely in the evening. The chance of a thunderstorm. Winds northeasterly 15 to 20 km/h becoming light in the late afternoon.